So you’ve narrowed down the type of flying which appeals to you and have decided to go for a Private Pilot’s Licence for Aeroplanes, a PPL(A). 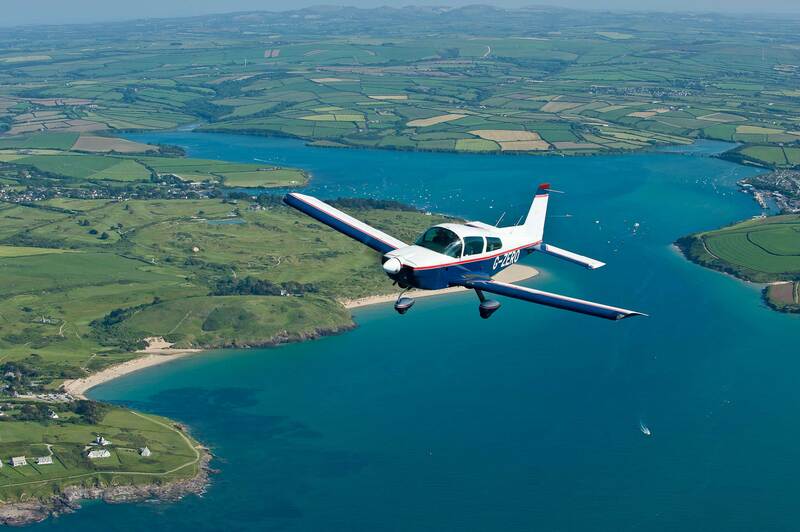 You can check that you’ve made the right decision by booking a trial flight at a flying school – they all offer them. At the same time, have a good look at the club itself and its fleet of aircraft. 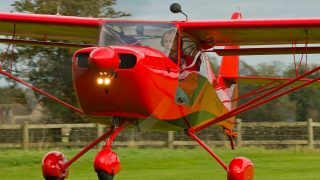 The trial flight will be flown by an experienced flying instructor, who’ll probably sit in the right-hand seat, with you in the left, which is the conventional arrangement when training in fixed-wing aircraft. The instructor will talk to you before the flight and it’s a good idea to point out that you’re thinking of learning to fly, rather than just doing it as a sight-seeing jaunt. As you settle into the aircraft, you’ll see that there are similarities with a car. There will be a dashboard, although it’s called an instrument panel in aircraft, and normal seats and seatbelts. The controls are a bit different to a car, with either a yoke, which is a bit like a cut-down steering wheel, or a control stick in front of you. Some aeroplanes, such as a Cirrus, have a side-stick to free-up space in front of you. There will be foot pedals to control the rudder, and aeroplane rudder pedals are often fitted with brake pedals too. The throttle will be either a simple push-pull knob or a lever in a quadrant. And then there are flaps, which alter the wing shape to add lift during the take-off and landing. If you’re suffering from butterflies, just remember that every pilot has been in the same position at some point. Even RAF fast-jet pilots had to start with a first lesson, and you can bet that they were just as nervous. Cockpit of a Cirrus SR22, showing the latest computer-based instrument panel. Training aircraft as sophisticated as this cost a bit more than traditional one with round, mechanical gauges but may be more to your liking. The instructor will then talk you through the checklist before starting the aircraft’s engine. At some point, you’ll probably hear him/her talking to someone on the radio. Just who that is depends on the size and the type of airfield you’re flying from. Busy, big airports with a lot of traffic will have a control tower, which issues instructions that must be followed, while smaller airfields and grass strips operate with a lighter touch. Then it’ll be time to taxi from the parking area, via taxiways, to a holding point near to the active runway. At the holding point – as you’ve probably already guessed – there’ll be more checks. By now you’ve probably gathered that aviation is obsessed with safety, and rightly so. These final checks are to make sure that the engine is producing power properly, the controls all work as they should, the safety belts and doors are secure, and you have the necessary equipment operating. Then the instructor will taxi the aircraft onto the runway, on to the centreline, if there is one. They’ll advance the throttle, so make sure your heels are touching the floor (to keep your toes off the brakes, which are usually at the top of the rudder pedals), and then you’ll rapidly accelerate down the runway. You may hear the instructor murmur something like, “Speed coming up, Ts and Ps in the green,” which just means that all is well. Ts and Ps stands for the oil temperature and pressure. 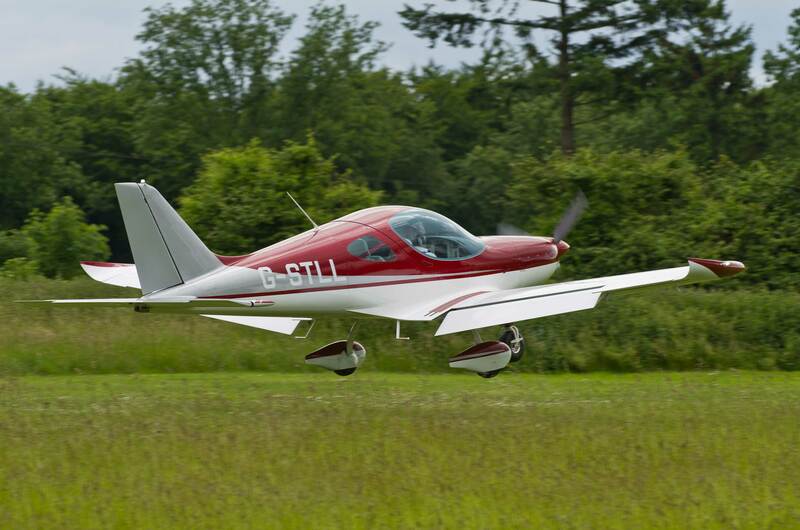 The noise and vibration from the wheels fades as the wings start to develop lift, and then the instructor will pull back on the control yoke, or control stick, to ‘rotate’ and, whoo-hoo! You’re flying! Away from the airfield on your first flight and the instructor will hand you control of the aircraft for some simple manouevres at first. 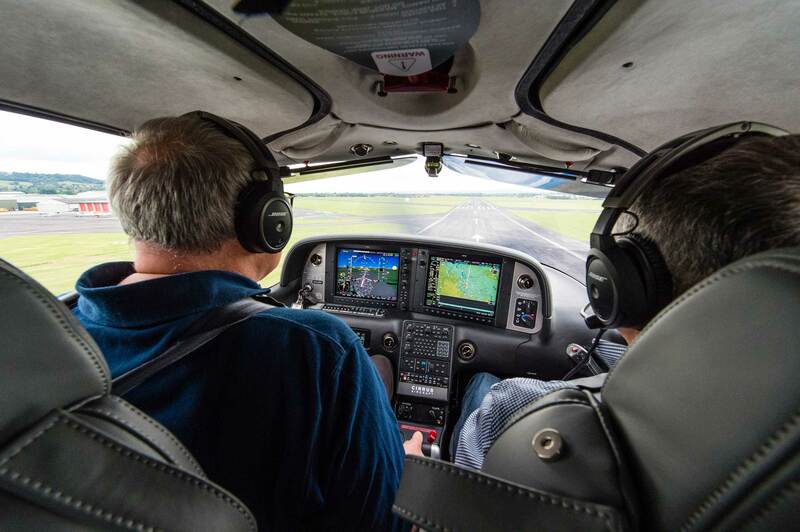 Once you’re airborne and away from the airfield, flying straight and level, the instructor may ask you to take the controls, which is a great feeling. A few gentle turns left and right, a climb and a descent, and if you’re game, maybe a steep turn. Local landmarks will be pointed out and, yes, you may even fly over your house, if you’re lucky. You’ll probably catch some of the strange lingo that pilots and air traffic controllers (ATCs) use. It’s English, honest, but abbreviated and to the point. There’s a special alphabet for radiotelephony (R/T), and ways of saying things to make sure that they’re clear and not misunderstood. So, for instance, yes becomes ‘affirm’, no is ‘negative’, five is ‘fife’ and nine is ‘niner’. It does need practice, especially for radio calls asking for a clearance through an air traffic zone (ATZ), or when approaching an airfield to land. But there are tools to help you learn, such as apps and online resources, and it’ll soon become second nature. Just be confident and imagine that you’re a British Airways captain! The final part of the lesson is, of course, landing the aircraft after making the correct return to the airfield circuit. Circuit? That’s a rectangular aerial path around the active runway, usually 1,000ft above ground, which is part of the procedure for landing. You’ll become very acquainted with the circuit during your training. On your first flight the instructor will handle the landing, but keep a close eye on what they’re doing. They’ll be gradually slowing the aircraft down and deploying what are called ‘flaps’, which are parts of the wing that change their shape and generate more lift at lower speeds. As your instructor turns the aircraft to line-up with the runway, they’ll call ‘final’ over the radio and, if it’s a big airfield, will receive a clearance to land. The actual landing, as you’ll discover for yourself if you continue with flying lessons, is a mixture of science, skill and art. The science bit is getting the speed and rate of descent right. Skill comes in when dealing with side-winds (known as ‘crosswinds’) and also changes in wind speed and direction close to the ground. About 20ft off the ground, the instructor will start to bring the nose up to put the aircraft into the ‘hold-off’ position and close the throttle. The speed will decay and the aircraft settle onto its main wheels and stop flying. After that it’s simply a case of keeping the aircraft straight while it slows, then taxying to the parking area. Once you’ve passed your Skill Test and logged some hours, bigger, faster aircraft such as this Piper Malibu Mirage, are within reach. First, decide what type of flying you want to do. If you’re thinking of turning it into a career, such as an airline pilot, then make sure that you can pass the medical and finance the training. For private pilots, the first decision is what type of licence and then decide on an airfield and a flight school. For a European (EASA) PPL(A) you must complete a minimum of 45 flying hours, of which up to five hours can be on an approved flight simulator. But don’t be surprised if you need more than 45 hours, most people do. The pilot training syllabus was originally put together for military pilots, who are usually young, training full-time on someone else’s money, and facing the chop if they don’t perform. So it isn’t surprising that most civilians learning in their leisure time take a bit longer. It’s a good idea to budget for around 55 hours. The course contains a minimum of 25 flying hours of dual-instruction and ten hours of supervised solo flight time. 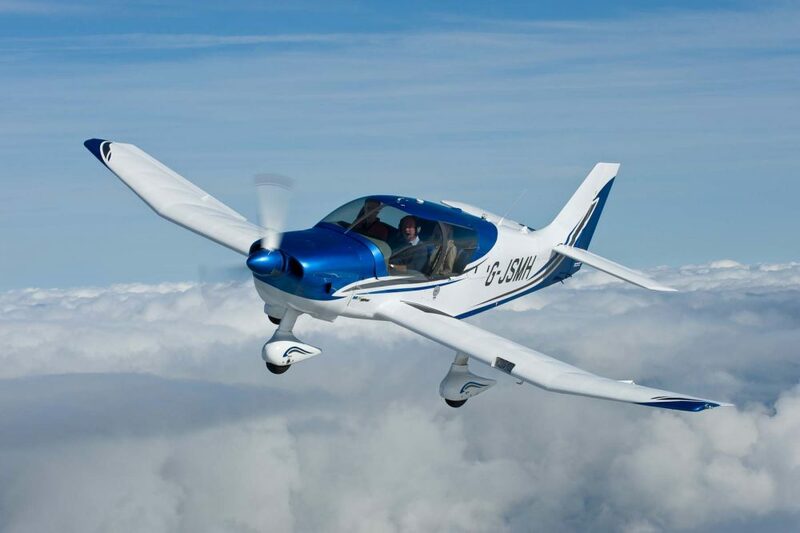 The solo flying includes one cross-country flight of at least 150nm, during which you must make two landings at different aerodromes away from your home airfield. 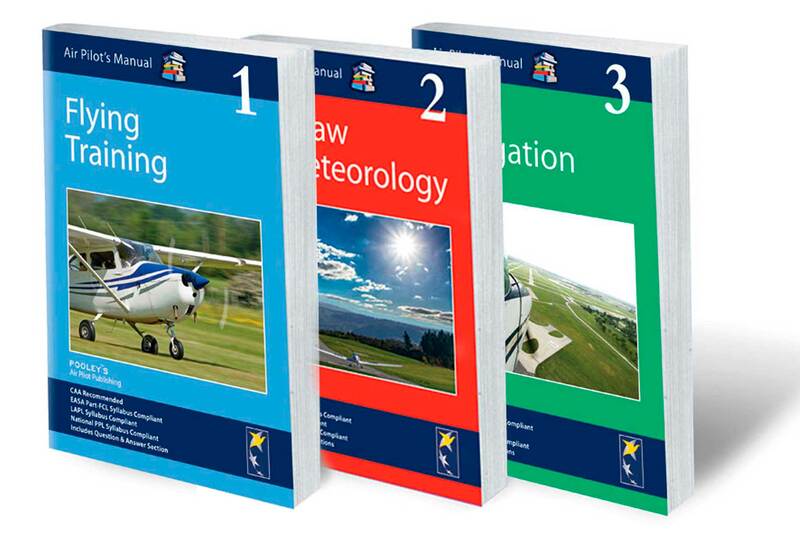 There are nine subjects in the Theoretical Knowledge – ground school – course. You can learn from books or even DVDs. At the same time, you’ll also be working your way through the Theoretical Knowledge in groundschool. You’ll need the relevant textbooks, which are available singly or in packages from pilot shops, and also as DVDs. Do make sure that the textbooks books you use are current, as details do change. The EASA PPL(A) requires nine written exams to be studied for and passed. Try to nail the exams the first time around by ensuring that you’re thoroughly prepared. Books of typical exam questions are available, which can help you to identify areas that the exams commonly focus on and boost your confidence. 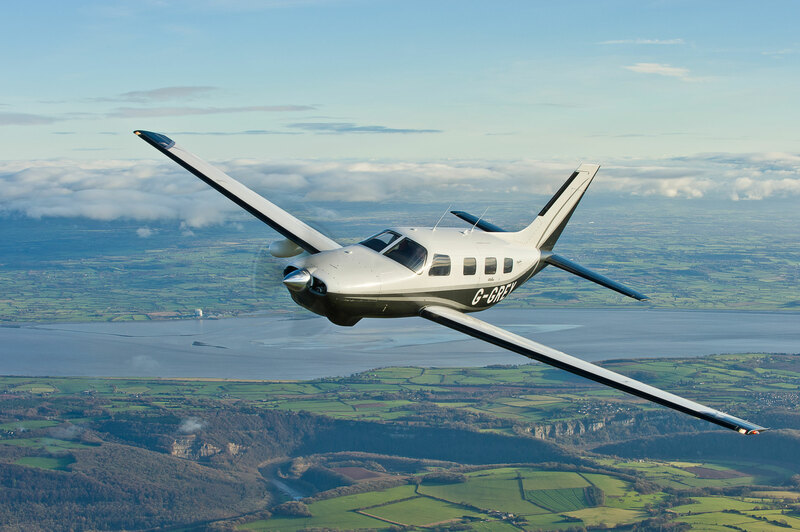 The aim of the PPL training course is to pass the Skill Test, a thorough and demanding flight with an examiner who you’ll never have flown with before. 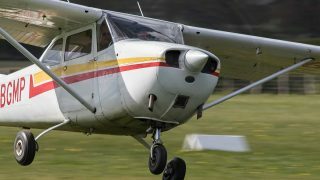 Before your flying school enters you for the Skill Test, you’ll have completed the full syllabus, both flying and groundschool, and successfully practised all of its elements. The examiner will check every aspect of your flying, including flight-planning, navigation, a diversion, handling the aircraft and various types of landing. Pass the Skill Test and, well done, you’re a pilot! Read Aeryn’s story of learning to fly here. Pass your Skill Test and well done, you’re a pilot! I have a PPL but I haven’t flown for a few years, so I need to re-validate it. As I currently live close to Aljezur in Portugal, I am hoping you can tell me if I could take lessons and an exam at Alvor aiport. Also I would need a new medical declaration and perhaps you have a name/address where I could take the necessary tests?